We are looking for an inspirational and creative music leader to lead and develop Thanet Music Explorers – a new mixed ensemble for young instrumentalists from Thanet. Aimed at children in school years 4-8, this is a natural progression from whole class instrumental learning, or for children who have been learning their instrument by another method for a minimum of a year (up to Grade 2 equivalent), and ideal as a first step into making music with others outside of school. The group will explore different genres of music through a range of methods including notation, improvisation, composition, aural training and singing. of a year (up to Grade 2 equivalent), and ideal as a first step into making music with others outside of school. The group will explore different genres of music through a range of methods including notation, improvisation, composition, aural training and singing. Music Explorers will take place from 4-5pm on a Wednesday evening. Once the successful candidate has been appointed, the nature of the additional hour’s work between 5-6pm will be determined according to their skillset. progress in their musical learning. and mixed standards across the group. leaders at the music centre. Music county wide activities and that of our partners across the county. ensemble from local schools and whole class teaching programmes. 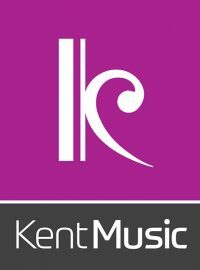 Thanet as well as acting as an advocate for Kent Music. o Direct the work of the supporting tutor/s. o Set up and pack down rehearsal space. o Attend occasional Music Centre meetings. o Other duties as required by your line manager (Head of Music Programmes). o Demonstrable experience of high quality and inspirational group music delivery with children of mixed ages and abilities, using a combination of notation, improvisation, composition and aural learning with strong conducting skills. o Experience of arranging or sourcing differentiated instrumental parts for mixed abilities in a range of genres. o Ability to plan a scheme of work for 33 weeks to include informal sharing/performances. o Experience of 1:1 and small group tuition. o Experience of leading singing activities with children. o A good working knowledge of a wide range of orchestral and non-orchestral instruments. o Good communication skills – confidence in communicating with, and leading a large group of mixed age/ability children and young people. o Knowledge of current issues and trends in music education. o Enthusiastic, energetic, creative and innovative with a proactive and positive attitude. o Teaching qualification e.g. CME, QTS. o Multi-instrumentalist able to teach 2 or more instruments. o Experience of leading composition/creative activities with children to develop new music. o Ability to accompany students on the piano. o Up-to-date knowledge of safeguarding legislation for children, young people and vulnerable adults – training can be provided.